Evelyn Hofer, a photographer whose striking compositions in Ireland, died on Nov. 2 in Mexico City where she lived. She was 87. Working with a cumbersome four- by five-inch viewfinder camera, Ms. Hofer conjured up carefully composed and timeless images. She remained unrecognized by most critics and curators, and never received a museum show in the US. Writers admired her and many collaborated with her, including Mary McCarthy, V. S. Pritchett and Jan Morris did in several highly regarded literary portraits of Dublin, Florence, London, New York, and Spain. "She has an extraordinary eye for subtle differences in the quality of light and in the details of texture and shape, whether her subject is the Duomo in Florence or two young waiters in a Dublin restaurant, and she has extraordinary patience, too, in capturing from every subject the exact image she intends to wrest from it," the art critic Hilton Kramer wrote. "She is, in my opinion, one of the living masters of her medium." The travel format led to "Dublin: A Portrait" (1967), as well as in "The Presence of Spain" (1964), by James Morris, and "The Evidence of Washington" (1966), by William Walton and "New York Proclaimed" (1965). It is hard for me to think about the Aran Islands, the three rugged outposts off the coast of Galway, without dreaming of a perfect pint of Guinness on a drizzling summer afternoon, when all hopes of walking, or cycling, or swimming had been gloriously dampened by the weather, and there was only one place to go, and that was the pub. And from the window you could study the gray sky over the fierce Atlantic ocean, the white wash of the waves breaking in the distance, and somehow the drink in your hand, the beauty of the black and white liquid, the silky softness of its taste, especially if you were on your second or third pint, meant freedom, ease, time you treasured and longed for. I --Colm Tóibín is the author of the novels "Brooklyn" and "The Master." When Philip O Ceallaigh's first collection of stories burst on the reading public, it had a fairly electrifying effect. The likelihood was that after Notes from a Turkish Whorehouse, his second collection might disappoint; and a dip would have been acceptable from such a disturbingly unique voice. But The Pleasant Light of Day merely confirms his reputation. That, in itself, is phenomenal: to have become a respected fixture with only two books is, to say the least, unusual. There are, by and large, three locales for this collection of stories (where there is a recognisable locale other than the uneasy world of a detached soul). They are set in Ireland, North Africa and eastern Europe, all made similar to each other by their individual narrators/central characters who obsessively seek salvation through a kind of grim self-sufficiency that withdraws fearfully from contact with the world. From the student residences of Galway to the tourist hotels of Cairo and chalets of rest in the mountains of eastern Europe, the locale is actually a desert of the soul, a single journey of troubled longing, ending nowhere, but with arms still reaching out. In Tombstone Blues, a man follows the reputed travels of St Antony to the roots of Coptic Christianity and settles in for what purports to be some research in a monastery library. Effectively, he is in retreat, indeed "on" retreat as Roman Christianity would put it. The supervising priest does not read the books which surround him. Questioned, he says merely, "I used to". The pilgrim reflects on Athanasius' Life of St Anthony, in which the saint is mocked because he has no letters, and when he questions his mockers as to which is first, mind or letters of mind, they accept that mind is first and the inventor of letters. Antony tells them, "Whoever, therefore, hath a sound mind hath not need of letters." The equating of anti-intellectualism with purity and peace of mind pervades most of the stories. That seems to be the universal search, broken only by a surging sexual desire that is almost profane in the context of its cold detachment. The narrator of Tombstone Blues seeks out a woman traveller he sees from his window, uses her as though she were hanging on a cross for him, but never wonders at the self-abasement of her compliance. He makes no connection when she tells him she is dying of cancer; the darkness he later experiences when there is a power cut in his seedy Cairo hotel illuminates nothing for him: as long as he can locate the bottle beside him without knocking it over, it is enough. It's the light that is disturbing: when the power comes back, he is disturbed because the room is ugly. In Uprooted, a young lecturer goes to a student party because, until he has tenure, he and his wife can't afford to live together, and he's lonely. The city is Galway, the hostess a young Circe who watches herself exercising power over men. There is damage in her smile, but Jonathan emerges relatively unscathed because he believes "the obstinate will inherit the earth". Aidan, too, a sculptor at a loose end on a trip from Inis Mor, salvages his equilibrium with a return to the basics of collecting driftwood and preparing his barren island holding for planting after the visual and aural stench of the student party. Isolation is salvation. Back in Cairo, in the story of the collection title, a man takes his small son to visit the museums, meticulously explaining the meaning of the words he uses to the avid youngster, combining truth with a tempering of realism. When the boy asks why the ancient arrows on display are barbed, he tells his son it was "to hurt more", not that any attempt to pull them out would have ripped the flesh agonisingly. But he avoids the room of mummies, and as they sit to eat ice cream in the square named for the assassinated Anwar Sadat, he reflects that every generation goes about its business as if none of it had happened before. This is O Ceallaigh's insistent, contradictory message. To find peace, the stories demand, man (and it is always man: women are receptacles in this strange world) must avoid analysis and immure himself in intellectual oblivion. But, by so doing, he condemns himself to learn nothing. And thus he remains an eternal traveller in a barren, unsure landscape of his own making, out of time and place. It's a hell of a message; that O Ceallaigh delivers it so compellingly, enticing us, however reluctantly, into what he sees as its lonely certainties, is remarkable. A LONDON nursing home. The shape of a figure beneath the sheets. My grandfather could just about whisper. He wanted a cigarette and a glass of whiskey. "Come up on the bed here, young fella," he said, gruffly. It was 1975 and I was 10 years old and it would be the first -- and probably last -- time I'd ever see him. Gangrene was taking him away. He reached for the bottle and managed to light a cigarette. Spittle collected at the edge of his mouth. He began talking, but most of the details of his life had already begun slipping away. Later that afternoon my father and I bid goodbye to my grandfather, boarded a train, then took a night boat back home to Dublin. Nothing but ferry-whistle and stars and waves. Three years later, my grandfather died. He had been, for all intents and purposes, an old drunk who had abandoned his family and lived in exile. I did not go to the funeral. I still, to this day, don't even know what country my grandfather is buried in, England or Ireland. Sometimes one story can be enough for anyone: it suffices for a family, or a generation, or even a whole culture -- but on occasion there are enormous holes in our histories, and we don't know how to fill them. Two months ago -- 31 years after my grandfather's death -- I got a case of osteomyelitis, a bone infection. I was admitted to a hospital in New York for a surgical debridement and a high-octane dose of antibiotics. I got a private room, largely because I'm middle class and insured, but also because it was an infectious disease. The double doors clacked when the nurses entered, visitors came and went, but for long stretches of time I listened to the ticking of a Vancomycin drip. There is a lovely backspin in silence. I had brought an old copy of "Ulysses," James Joyce's masterpiece that takes place in the back streets of Dublin on June 16, 1904. I wanted to read it cover to cover. I have been dipping into the novel for many years, reading the accessible parts, plundering the icing on the cake, but in truth I had never read it all in one flow. The messy layers of human experience get pulled together, and sometimes ordered, by words. Soon my grandfather was emerging from the novel. The further I went in, the more complex he got. The man whom I had met only once was becoming flesh and blood through the pages of a fiction. After all, he had walked the very same streets of Dublin, on the same day as Leopold Bloom. I began to see my grandfather outside Dlugacz's butcher shop, his hat cocked sideways, watching the moving "hams" of a young girl. I wondered if he had a penchant for "the inner organs of beasts and fowls." I heard him arguing with the Citizen in Barney Kiernan's pub. I felt him mourn the loss of a child. He walked the city alongside Bloom, then turned the corner into Eccles Street, and then another corner into my hospital room and sat on the edge of my bed. I could smell the whiskey and cigarettes on his breath. The book carried me through to the far side of my body, made me alive in another time. I was 10 years old again, but this time I knew my grandfather, and it was a moment of gain: he was so much more than a forgotten drunk. Vladimir Nabokov once said that the purpose of storytelling is "to portray ordinary objects as they will be reflected in the kindly mirrors of future times; to find in the objects around us the fragrant tenderness that only posterity will discern and appreciate in far-off times when every trifle of our plain everyday life will become exquisite and festive in its own right: the times when a man who might put on the most ordinary jacket of today will be dressed up for an elegant masquerade." This is the function of books -- we learn how to live even if we weren't there. Fiction gives us access to a very real history. Stories are the best democracy we have. We are allowed to become the other we never dreamed we could be. Today is Bloomsday, the 105th anniversary of the events of the novel. All over the world Joyce fans will gather to celebrate the extraordinary tale of an ordinary day. There will be Bloomsday breakfasts, and Bloomsday love affairs, and Bloomsday arguments and, indeed, Bloomsday grandfathers hoisting their sons, and their sons of sons, onto the shoulders of never-ending stories. As for me, with a clean bill of health now, I finally know where my grandfather is buried -- happily between the covers of a book, where he sits, smoking and drinking still. Colum McCann is the author of the forthcoming novel "Let the Great World Spin." Notes from a Turkish Whorehouse, the 2005 debut collection of short stories from Philip O'Ceallaigh, garnered deservedly strong reviews and a handful of prizes. Its follow-up, The Pleasant Light of Day, will extend and deepen his already considerable reputation as an artist of extraordinary gifts. He is assiduous with words, a writer of craft and vision, and refreshingly so sparing with similes and self-announcing images that to read him is to be reminded of the power of plain prose to break into territories of the imagination. When he does use a metaphor, it bursts off the page. ("The hoofed beast of jealous panic ran through him.") Of the dozen stories here, perhaps 10 are so perfectly achieved and exhilaratingly confident that you feel O'Ceallaigh is developing a form all his own. There's a focus on telling it as it is, not on saying what it's like. 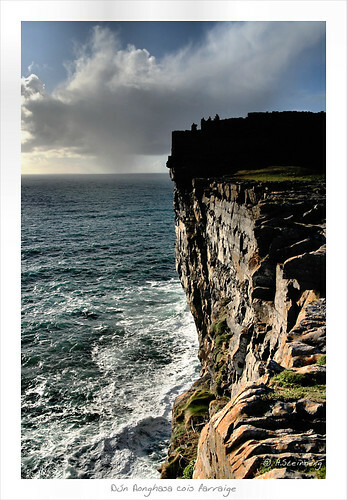 In "Uprooted", a story unusual for being located in his native Ireland, "Gulls quiver on the wind, swoop, rise again, wheeling in the updraught." 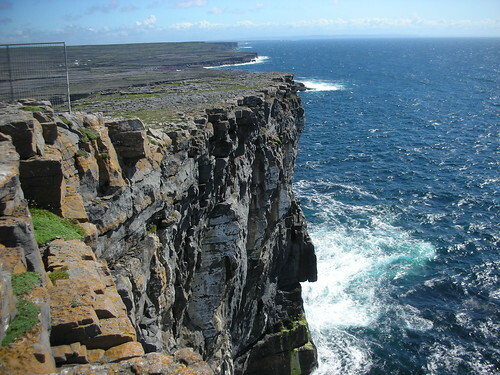 The wind is "picking up the crashing swell at the cliffs of Inis Meáin, propelling it halfway across that island as salt rain." In "Walking Away", a strange and compelling piece set shortly after a funeral, the narrator resists facile or inherited assumptions of the meaningful. "What foolishness, to speak of beyond, when we hardly know what we have here, on this earth, right before our eyes." What can be seen is always important in these vivid, measured stories. This is an author who looks at things carefully, annihilates the clichés. John McGahern wrote that any artist needs first a way of seeing. Philip O'Ceallaigh has one. This is a world where sexuality is tough, a contested ground, and the comings and goings of his hungry-hearted characters rarely yield a sense of communion. And in "My Secret War" he unfolds a nightmarish vision of suburban American life: "In the evenings, after the kids are in bed, me and Martha might drink a bottle of beer on the porch, listening to the crickets. A flag flies over our tranquil lawn, for our brave men and women in the service ... Evil lies in every human heart, awaiting the faltering of our vigilance. There is no need to say much to Martha because she knows already." A resident of Bucharest, he conjures east-European cities with shimmering precision; these metropolises of trams and urban insularities and recently vacated pedestals. But the stories that have rural settings are brilliantly achieved too. In "High Country", a hauntingly beautiful piece, a man hikes alone into the countryside beyond a provincial town, the resulting spell of self-confrontation unfolded with such exactitude and delicacy that you feel you've walked through the same rainstorm. Revelations are few and epiphanies fewer. The trekker in the story is not quite sure of destinations but tells himself "the time patiently taken was what you offered up, trusting that the moment would come." It's a thought that often arises on the journey through this exquisite collection, for this is work that invites slow rereading, not in order to understand it, but so as to glimpse again the consolation of the world being described. The standard is extremely high, which is one of the reasons why "The Alchemist", an only intermittently funny satire of the work of the Brazilian inspirational writer Paulo Coelho, might have been better omitted. Fish in a barrel sometimes need to be shot, but the 32-page death they receive from O'Ceallaigh comes to feel dismayingly drawn-out. There is also a slightly cluttering inter-textuality, tropes from one story materialising in another. (O'Ceallaigh's first book is referenced in the opening story, with a title so thinly disguised as to demand immediate recognition.) When the playfulness works, as it sometimes does, the result is an attractive complicating of the textures of the stories, a sense that they are linked like the verses of a song or the overlapping circles of a Venn diagram. This is a writer who is pushing hard at the boundaries of the form. If it doesn't always come off, you admire his courage and purpose, his avowal that there are still things undone that words might do, in a genre that might yet come to be important for our times. "In Another Country", the longest story, and thematically a central one, is a masterpiece that earns every line of its 53 pages. The prose is graceful and poised yet supercharged with the edginess that makes the events it describes unforgettable. All in all, this is a profoundly impressive and haunting suite of stories, remarkable for being only the second collection from an author who is already touched by greatness. In one of them, a character kneels on a riverbank, "where the water was deeper than in other places and he could see the clean stones on the riverbed". It's what O'Ceallaigh's writing achieves, a clarification, a revealing, a pointing to realities so fundamental and unchanging that most of the time they go unnoticed. He is a scintillating talent and this is work of immense strength, but also of light and elusive hopefulness.